Dennis Doud was born in the same hospital as John Wayne, living his entire childhood in Iowa until leaving for higher education. After graduating from LeTourneau College, (now a university), in Longview, Texas, he returned home to the Hawkeye State. He left Iowa again to chase down his almost-a-wife who had taken a job in the Northwoods of Wisconsin. It’s a place called “God’s Country” and it has been truly that to Dennis, his bride of 35 years, and their now-grown-up kids. Dennis has enjoyed reading and writing since elementary school and, to this day, still barely tolerates arithmetic. He has written various stories and articles and is now writing faith-based screenplays, ‘Tweener home-school adventure books, and sporadically scribbling an online blog. Connect with Dennis at www.headwaterswordsmithing.com. 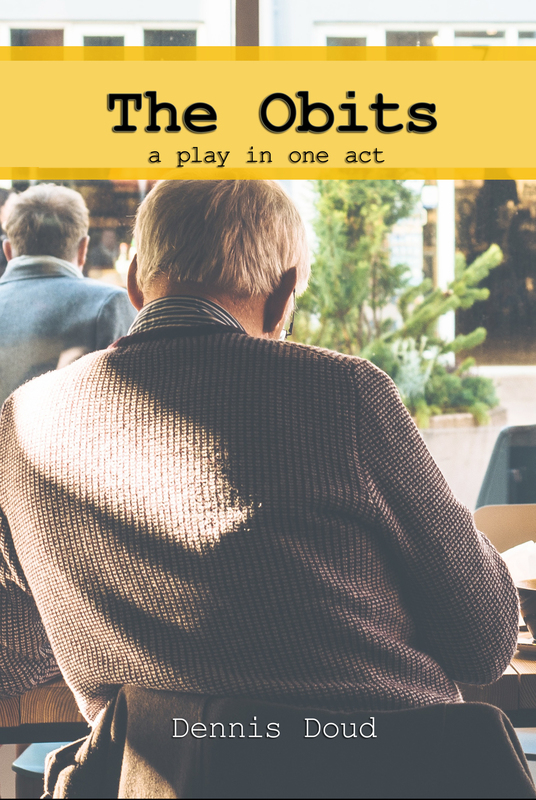 Two strangers – both retired – get off on the wrong foot over a favorite table at the cafe. Joe celebrates his first day of retirement by stopping into the cafe for a cup of coffee and the newspaper. He doesn’t realized that he has chosen the seat and the newspaper of longtime regular, Eddie, who is a creature of habit. Marlene, the cafe’s matriarchal waitress diligently tries to talk Joe into moving just as Eddie shows up and makes a scene. Joe bites his tongue on Marlene’s account and moves to the other table, leaving Eddie to read his beloved obituaries. From this awkward beginning, an unlikely friendship develops. Good character piece for and about two men ‘of a certain age’ – stories we don’t see often enough.